Single 115V or dual 115V/230V – 50/60 Hz primaries. Two (2) center-tapped secondaries provide variety of utilization. The 130 C insulation system. Rugged construction - only prime raw materials are used. Secondary voltage and currents are R.M.S. 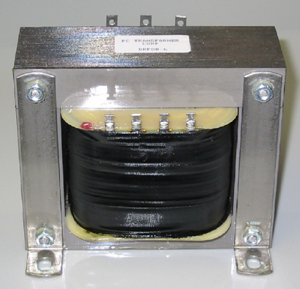 and are designed for a wide range of rectifier power circuit applications. Our Engineering/Applications staff can assist you with selecting the unit that best suits your rectifier circuit requirements. Custom design and construction is available for your special requirements. Style L W H ML MW Mtg.